Sugar Creek Opera Cleveland is the key to nationally competitive opera performance in Cleveland. Nationally competitive opera consists of singers, conductors, directors and designers with national and international credits and experience. New opera productions that have traveled throughout North America, such as Turandot and Dead Man Walking. Sugar Creek Opera Cleveland will elevate the vibrant arts community of Cleveland to a position of national leadership in opera performance. Together, we can create magnificent opera and preserve this beautiful art form as a legacy for generations of Cleveland residents and visitors. Sugar Creek Opera Cleveland is a member of Opera America. Understanding the changing complexion of today’s opera patron shows us that to truly serve our patrons, Sugar Creek Opera Cleveland must present opera that appeals to the traditionalist as well as to those who are more interested in contemporary, American opera and in seeing traditional opera presented in both traditional and new ways. Sugar Creek Opera Cleveland is a new branch of Sugar Creek Opera (formerly Sugar Creek Symphony & Song) which was founded in 2002 by Soprano Helen Todd. Ms. Todd’s dream was to bring world class, professional opera from the city to the countryside of Iroquois County. Today Sugar Creek Opera (SCO) is the only professional opera company in Illinois, outside the City of Chicago. Sugar Creek Opera is a 501 (c)(3) non-profit organization in accordance with the IRS. SCO is a member of Opera America. Provide nationally and internationally competitive professional opera. Showcase singers, directors, conductors and designers with national and international credits. Opera performed with full orchestra and full production with productions that have been seen across North America. Showcase innovative classic and American contemporary opera. Honor the tradition of opera with seasoned professionals while providing training opportunities for young opera professionals. Engage in creative collaborations, innovative outreach, and audience development. Soprano Helen Todd founded Sugar Creek Opera, formerly Sugar Creek Symphony & Song, in 2002 and have produced multiple operas over the past 14 years with international singers and conductors. Having moved to Cleveland in 1996 after singing the role of Fiorella in Il Turco in Italia with Cleveland Opera, her career continued to take her across the country. Helen is known for her intense portrayals of tragic characters over her twenty year career. Helen recently performed the role of Turandot with Musica Viva in Hong Kong, China in December 2014. Before going to Hong Kong, she performed Turandot with Minnesota Opera in the new production by Renaud Doucet and Andre Barbé. Helen first performed the role of Turandot with DuPage Opera Theatre in Chicago. Helen also added the new role of Tosca when she performed with Northwest Indiana Symphony in February 2014. Not one to turn down a challenge, Ms. Todd also recently starred as Norma Desmond in Mercury Theatre’s production in Sunset Boulevard in July 2014. Ms. Todd began her career in the lyric coloratura repertoire and began to achieve national recognition with her portrayal of Violetta in La Traviata with Minnesota Opera (the English National Opera / Jonathan Miller production). Also with Minnesota Opera, under the baton of Maestro Richard Bonynge, Ms. Todd has appeared as the Queen of the Night in Die Zauberflöte. Ms. Todd debuted with Canadian Opera Company in the Canadian premiere of THE HANDMAID’S TALE as Aunt Lydia by composer Poul Ruders. This debut occurred after the acclaimed North American premiere of THE HANDMAID’S TALE at Minnesota Opera where Ms. Todd debuted the role of Aunt Lydia as well. Also at Minnesota Opera, Ms. Todd debuted the role of Madame Mao in NIXON IN CHINA. 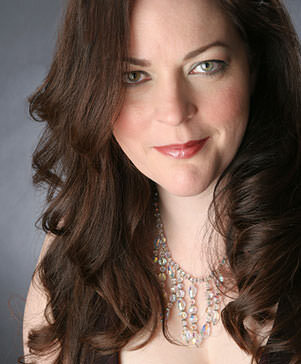 Other notable engagements include Queen of the Night in Die Zauberflöte with New York City Opera, Cleveland Opera, Arizona Opera, Tulsa Opera, Nevada Opera, Opera North, and the Colorado Opera Festival; Gilda in Rigoletto with Calgary Opera (her Canadian debut), Annapolis Opera, and Cedar Rapids Opera Theatre; Fiordiligi in Cosí Fan Tutte with Arizona Opera, Nedda in Pagliacci with Sugar Creek Opera and the title role in Lucia di Lammermoor with Opera Illinois and Gold Coast Opera. Ms. Todd is also an opera producer and founder of Sugar Creek Opera, an Illinois opera company which is entering it’s 13th season. SCO is a member of Opera America. Occasional past performances at Sugar Creek include Love Simpson in the Midwest Premiere of Cold Sassy Tree, Cio Cio San in Madama Butterfly, Juliette in Romeo & Juliette, Violetta in La Traviata and Mimi in La Bohème. Helen Todd received her operatic training as a young artist with the Pittsburgh Opera Center at Duquesne, received her Bachelor of Music in Voice Performance at DePaul University, and her Master of Music in Voice Performance at the University of Cincinnati College-Conservatory of Music under the tutelage of the Patricia Berlin. ©2014 Sugar Creek Opera. ALL RIGHTS RESERVED. Website by Never trust a Dame. Head over to the Sugar Creek Opera Illinois website to catch up on the latest news and events. No, I don’t want to leave Sugar Creek Opera Cleveland.